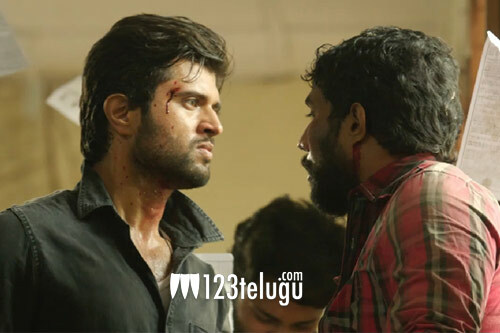 Geetha Govindam stars Vijay Deverakonda and Rashmika Mandanna’s second film, Dear Comrade, has wrapped up a crucial schedule in Kerala. With this, the entire shooting formalities are complete except for a minor patchwork. Meanwhile, Vijay, who’s spearheading Dear Comrade’s promotional activities, revealed that the second single from the audio album will be out soon. The first single ‘Nee Neeli Kannullona’ was well received by music lovers. Justin Prabhakaran has scored the soundtrack for the movie. Debutant Bharat Kamma is directing Dear Comrade. Mythri Movie Makers and Big Ben Productions banners are jointly producing the film. Stay tuned for further updates.